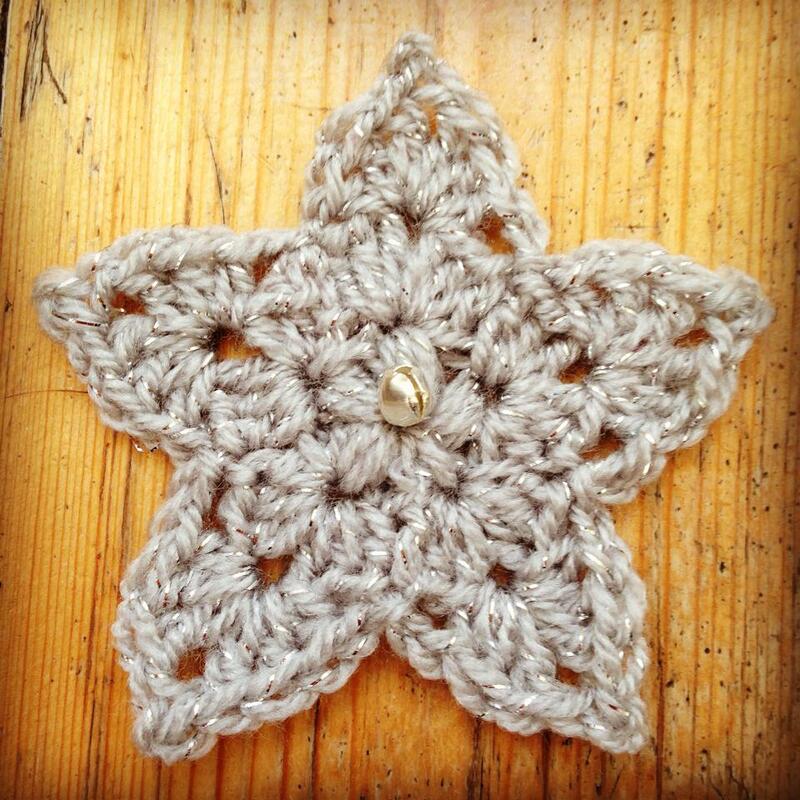 I designed this star to go on top of my crochet Christmas tree so made it small with dk and a 3mm hook but it’s a very versatile pattern and can be made with any size of yarn and hook. It’s a bit fiddly for the first round as you’re making puff stitches into a magic ring, but it’s well worth persevering as the puffs look so beautiful! If you find a magic ring too tricky then you can try starting with a ch 4 and slip stitching into the first chain to make a ring, this would work just as well! Round 2 2 ch, 2 htr into top of same puff stitch, then make 1 ch, 3 htr all into same stitch, *3htr, 1 ch, 3 htr** into top of next puff stitch. Repeat from * to ** 3 more times. Sl st to top of 2 ch. Round 3 ch 1, then into next 1ch space make 1 htr, 2 tr, picot (ch 2 then sl st into 1st chain), 2 tr, 1 htr, then 1 ch and sl st into 3rd htr from previous round, * make 1 ch, then into next 1 ch space make 1 htr, 2 tr, picot (ch 2 then sl st through the first chain), 2 tr, 1 htr, then 1 ch and sl st into 3rd htr from previous round**. Repeat from * to ** 3 more times and join with sl st to base of initial ch1.